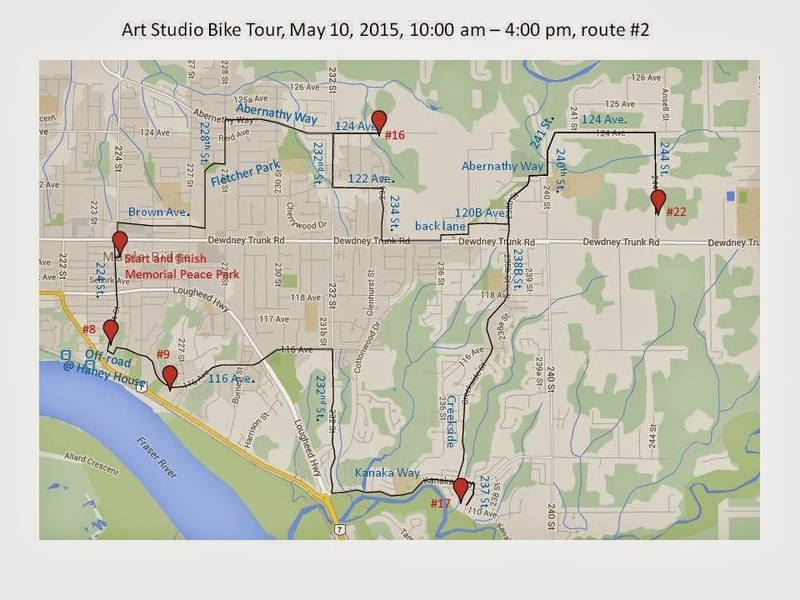 On Sunday, May 10th we're planning to do our 2nd annual Art Studio Bike Tour. 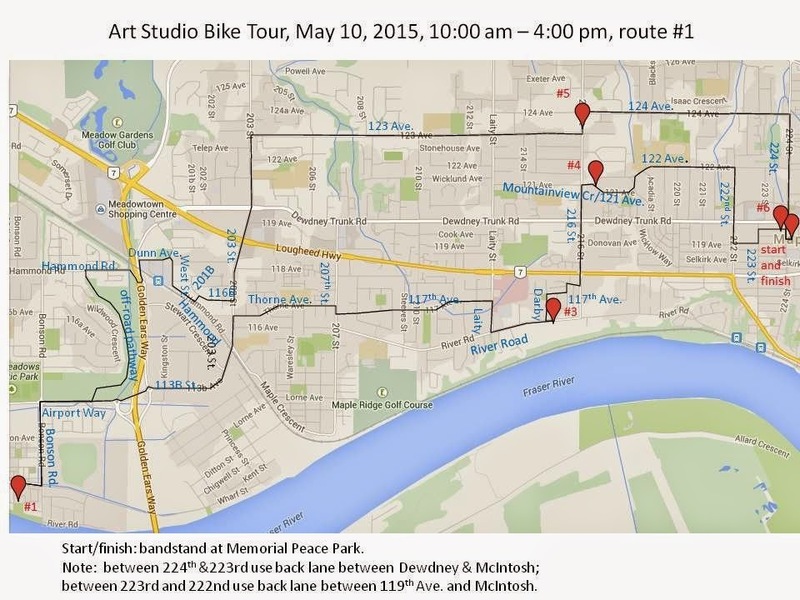 The Art Studio Tour is an annual 2-day event on Mother's Day weekend. We're hoping for a nice sunny day so that more people may consider trying out a tour by bike this year. If it rains (i.e. more than just a drizzle), we may cancel. If you're not sure, check this blog (rmcyclist.info). We'll post any cancelation on the morning of the ride by 8 am. This year we're planning to do two routes, one that's mostly flat (#1), and a hillier route (#2). If we don't have enough participants, we may just end up doing route #1. Both groups will be leaving at 10:00 am from Memorial Peace Park in Maple Ridge. Please arrive at about 9:45 am to give us a little time to get everyone to sign a waiver. 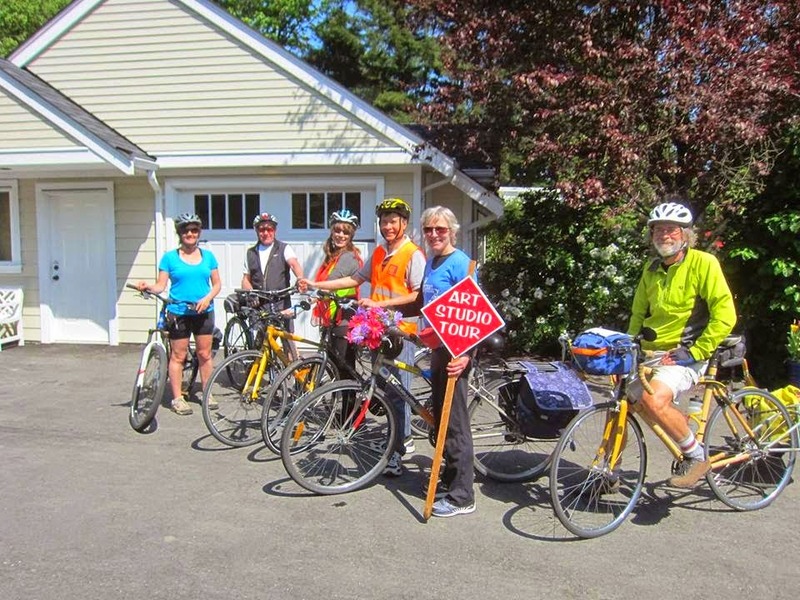 Insurance for these group rides is covered by HUB at no cost to participants. Pre-registration is appreciated, but not necessary. We just like to have an idea of the number of people that we can expect. E-mail Jackie: jchow23708@yahoo.ca. Some of the art studios may offer some refreshments, but it would be a good idea to bring some lunch along. Of course you can also try one of the routes on your own in your own time. Just click on the map, save the image and print it in landscape format. Also bring a copy of the list of studios with addresses to help guide you along. 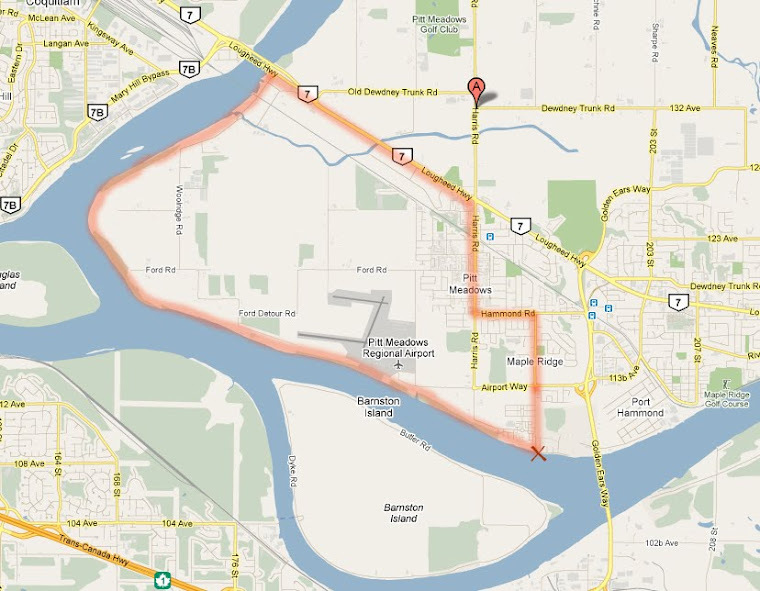 This route is about 21.5 kms. This route is about 20 kms. Column: "Water theme for Earth Day", and: MRBERT!